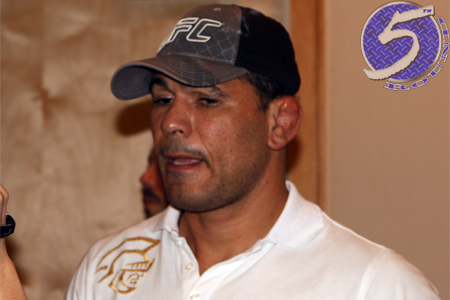 Despite getting his right arm viciously snapped in two this past Saturday at UFC 140, Antonio Rodrigo Nogueira (Pictured) will not be required to have his broken limb surgically repaired. Big Nog visited Dr. John Itamura in Los Angeles, California on Monday after Frank Mir did THIS to his arm because the Brazilian refused to submit to a kimura until it was too late. “Doctor’s report: surgery not necessary for Big Nog,” the UFC tweeted. “He’ll have adjustable plastic brace using an ultrasound device 2x/day for 20 mins. Based off the UFC’s last post, the 35-year-old will be allowed to resume his illustrious MMA career in the big leagues. However, after dropping his third fight in his last five outings, two by knockout and Saturday’s submission, UFC president Dana White didn’t sound as certain following the UFC 140 post-fight press conference. “I know he’s gonna get pissed off at me, but again, it doesn’t matter,” White stated. “Unfortunately or fortunately, I’m the one that makes those decisions [regarding fighting in the UFC]. Big Nog is a nice guy and a guy whom I respect. Nogueira holds an impressive 33–7–1 (1 NC) record and donned the PrideFC and UFC interim heavyweight titles.